Kreg Jig is some kind of Alright! 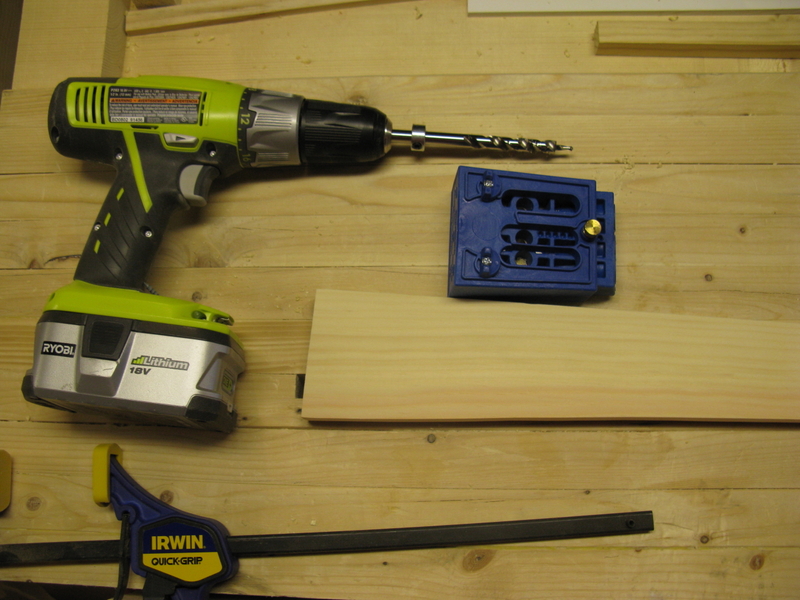 I wanted to post specifically about a jig I am using quite a bit for various projects. 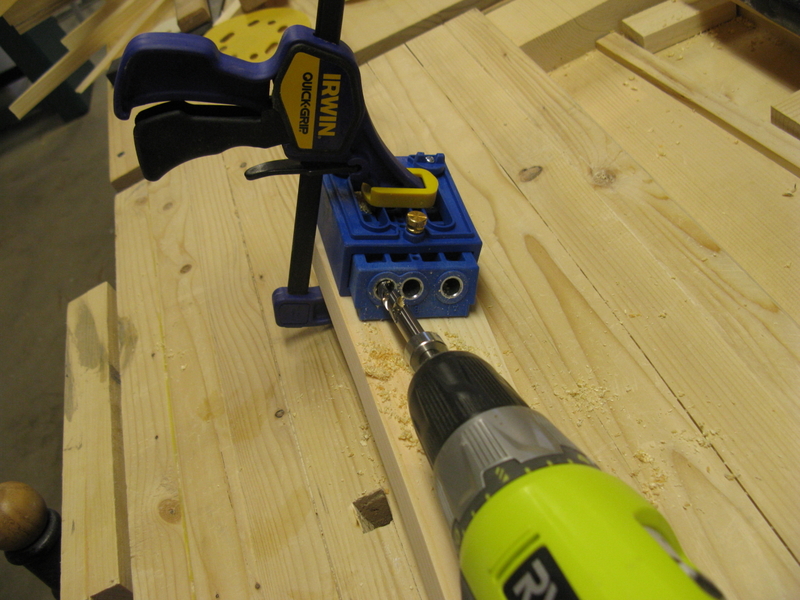 It is the Kreg Pocket Hole Jig and I used it extensively in my bookcase project. Basically it lets you drill a hole at an oblique angle that lets you drive a screw across a joint. The joints are really strong, quick, and easy to do. All you need are 2 flat surfaces to join. You can adjust the jig for the thickness of the board. Basically, the jig comes with a guide for the special bit they provide. 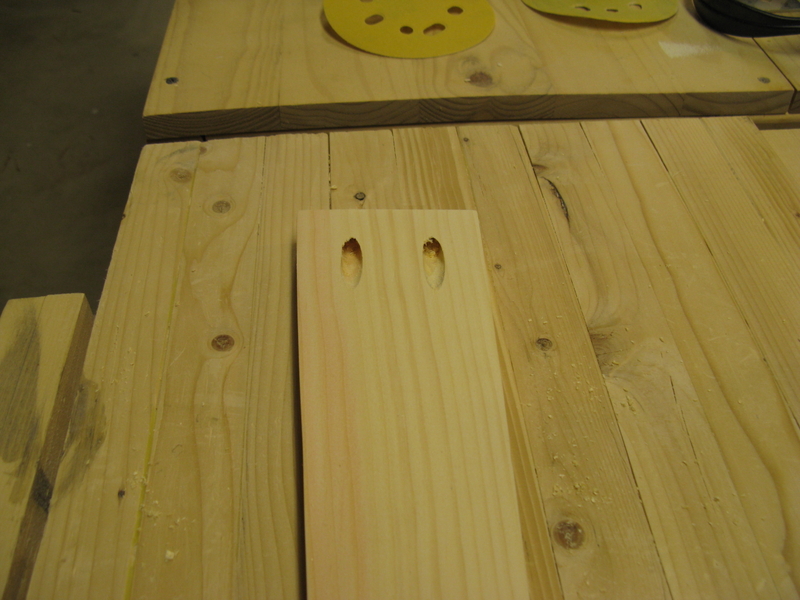 You set the guide and a stop collar on the bit to match your board thickness, clamp on, and drill holes. Please note on this last picture, the horizontally oriented holes are holding the two joints together. 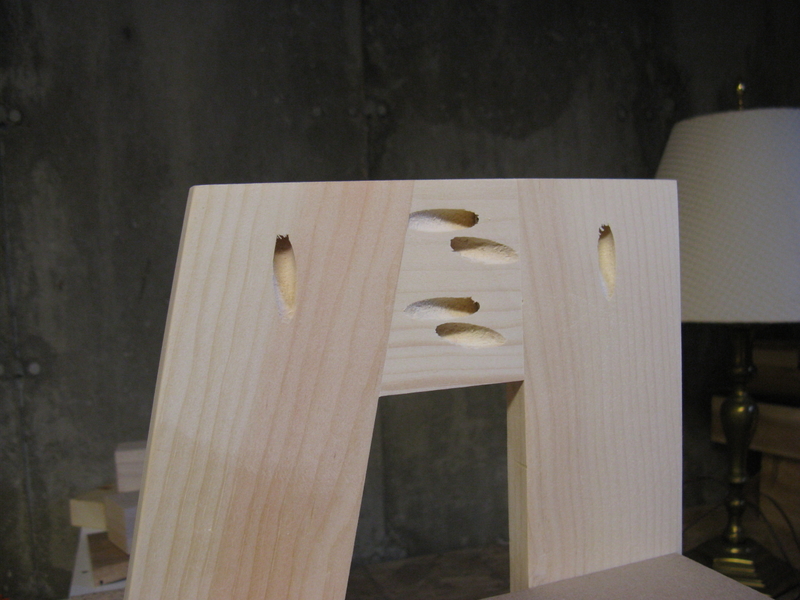 The vertically oriented holes are cut as they are going to be where I attach the top to the project when it is done, and are not actually in use here. Now, part of me is saying…why don’t you cut joints and fit the parts together, and glue them up instead of leaving the ugly holes. This is not real woodworking! I admit, this feels like cheating, but at the end of the day I can get a project done in a faction of the time. I look at this as the same reason I have a planer and a jointer. Yes I can do it by hand, but with the right tools, I can get done in 2-3 hours what would take me up to a week. I would most likely not use pocket screws in any of the projects I want to build just to see if/how well I can do it. However, we all get those projects that are not necessary labors of love, but more of duty. You need some functional thing in some space, and you need it soon. I still enjoy doing these projects, but if left to my own devices, these are not things I would build strictly for the fun of it. My bellwether is when the wife starts cruising Ikea catalogs. Once I see her starting to do that, I pull out the tape measure and notebook, and get to work before she buys anything!